And a free Glide track! Minecon Skin Pack will only be available for a limited time. She plays exactly the same way as Steve. North America should get them this week. No release date for North America yet. Buy the new Skin and Texture packs on PS3, get them on PS4. 4J intends to add the ability to resize a PS4 world. 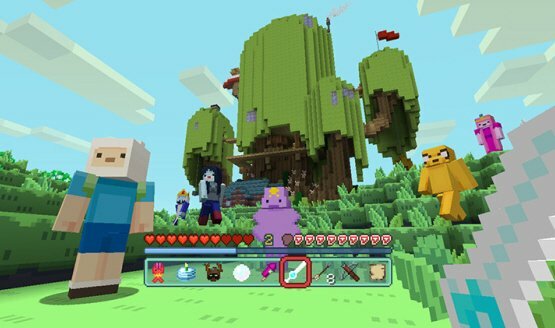 Minecraft: PS Vita still doesn’t have a release date. Minecraft: PS3 Edition will receive an update soon to enable save transfers to PS4/PS Vita. The number’s only going to grow come August. Adds Skin Pack 2, Battle & Beasts Skin Pack 2, and more. Minecraft: PS4 Edition and PS Vita Edition get box arts. More details on the PS4, Xbox One, and PS Vita versions shared. Enemy Front, Bound by Flame, and The Amazing Spider-Man 2 all get gameplay videos. Patch 1.04/Title Update 14 is in testing with Sony right now and should be released soon. Call of Duty: Ghosts was #1 on PS4. March 2014 PS+ free games reveal in Europe likely happening next Thursday; New Killzone: Shadow Fall maps in early March; Minecraft Title Update 14 screenshot. There’s a lot of Final Fantasy games charting on PSP. Red Barrels reportedly paid $35,000 to have Outlast on Conan O’Brien’s Clueless Gamer sketch. Australia and New Zealand get it as well.